Alamo Drafthouse recently send us information for the upcoming 10th anniversary screening of the Mike Judge's Cult Classic "Idiocracy". The screening will also be followed by a livestream Q & A session from members of the cast and crew from the film. The 10th anniversary screening will take place on October 4th at select theaters. For times and theater listings, you can visit drafthouse.com/idiocracy for more information. Ten years ago, satirist Mike Judge told of an impossible future in which our collective intelligence had dropped so low it threatened to destroy the world. In this future, America was run by a corrupt, sociopathic former pro-wrestler with severe anger management issues, and the most popular entertainment in the land was a YouTube-esque video playlist called "Ow My Balls." Flash forward to today. We are approaching the end of the most bizarre, absurdist presidential race in U.S. history. Over the past months, thousands have questioned in social media whether IDIOCRACY was actually a documentary. Mike Judge's sadly prescient film has transcended its cult classic status to become a vibrant and essential facet of this election conversation. 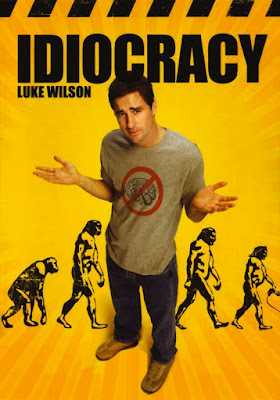 The Alamo Drafthouse, along with the network of Art House Convergence Theaters and local League of Women Voters chapters, want to invite everyone to revisit and rediscover IDIOCRACY on the eve of the 2016 presidential election. 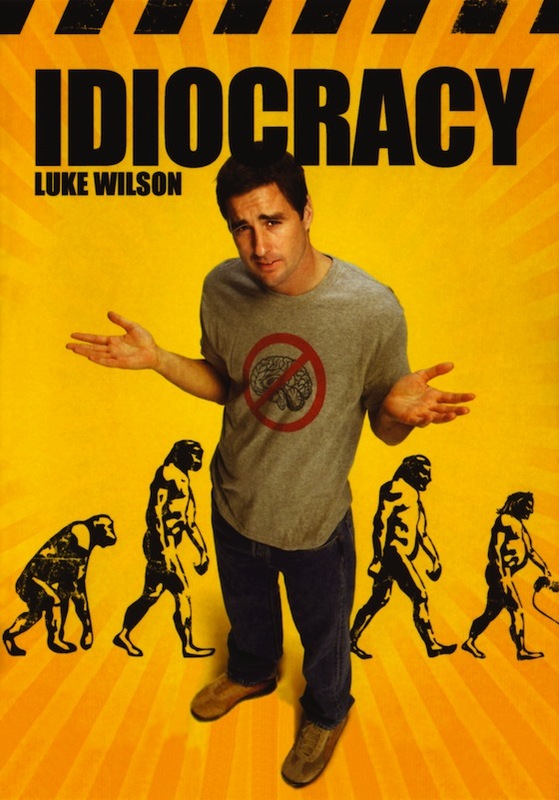 Members of the cast and crew of IDIOCRACY will be live in person at the Aero Theatre in Santa Monica at 6:45pm on October 4th for a screening of the film and a post-movie conversation. Concurrent IDIOCRACY screenings will also take place at Alamo Drafthouse locations and Art House Convergence theaters across the country and the post-movie conversation will be live-streamed to those audiences. For those that can't make it to an Alamo Drafthouse or Art House Convergence theater, fear not, you can still join in the fun. Watch the film from your own DVD, from Amazon, iTunes or the platform of your choice. Press play exactly at 7:00pm Pacific Standard Time, and then tune into Facebook Live from facebook.com/alamodrafthouse for the post-movie conversation at 8:25pm PST. Questions will be taken from the live audience in Santa Monica, but also from the live-stream and Facebook Live audiences via Twitter using the hashtag #IdiocracyToday. In attendance at the event will be director and writer Mike Judge and star Maya Rudolph. Also, the Alamo Drafthouse's collectible art gallery Mondo is creating a licensed IDIOCRACY shirt for the occasion. It will be available on mondotees.com. A portion of proceeds from merchandise and participating screenings will be donated to local League of Women Voters chapters to support their non-partisan efforts to register and educate voters. Whether you are voting for Donald Trump, Hillary Clinton, Jill Stein, Gary Johnson, or whether you just want to cast a write-in vote for Dwayne Elizondo Mountain Dew Herbert Camacho, these options are all your right -- but first you must register to vote! "If we learn one thing from this election cycle," says Alamo Founder and CEO Tim League, "it's that to truly be an American one must register to vote, join the debate and participate in democracy."